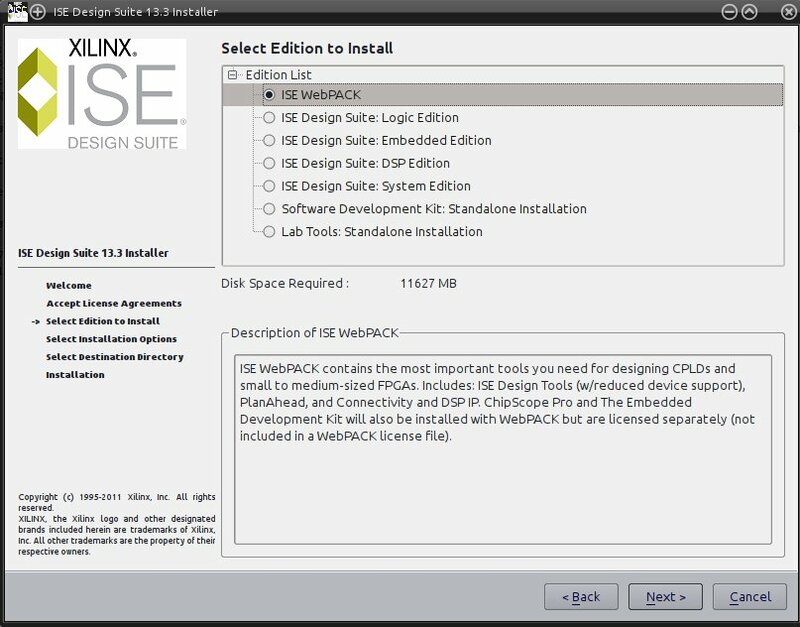 Today I’ll show you how to install ISE 13.3 webpack. 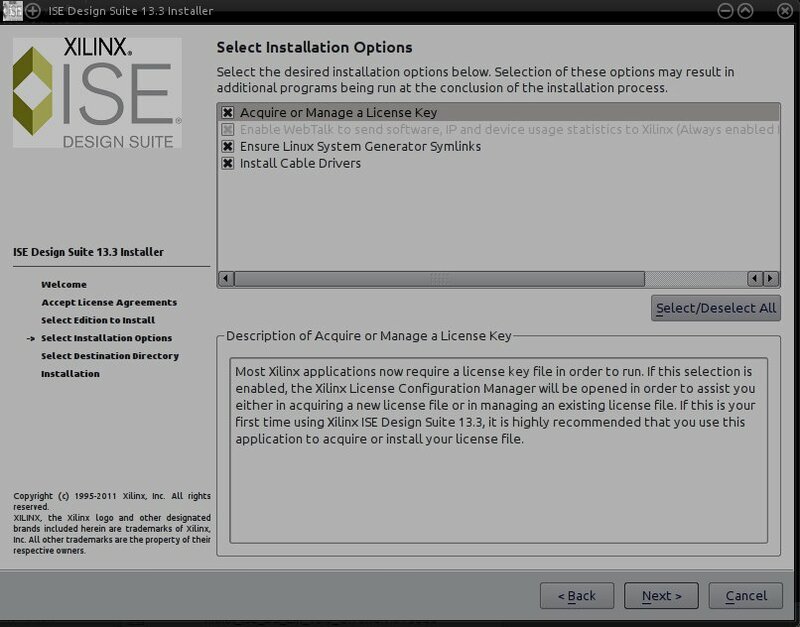 As I’m a linux user, I’ll install it in Ubuntu Oneiric. 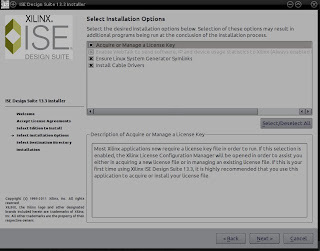 First of all, download the installer and the license file from here. You will be asked to login to download it. 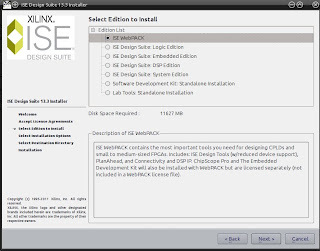 The installer is pretty large, almost 5G, so it will take some time depending on your connection speed. 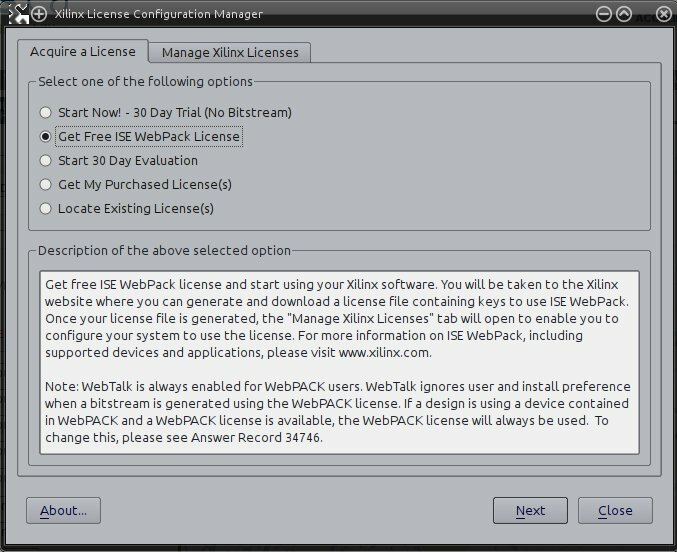 Accept license agreement (next twice) then select ISE WebPACK and then NEXT. 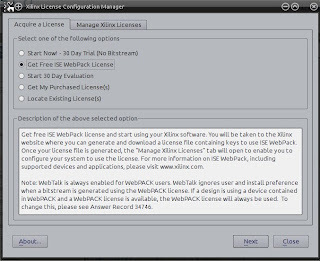 Select “Manage Xilinx Licenses” tab and select the .lic file previously saved and then it’s done.